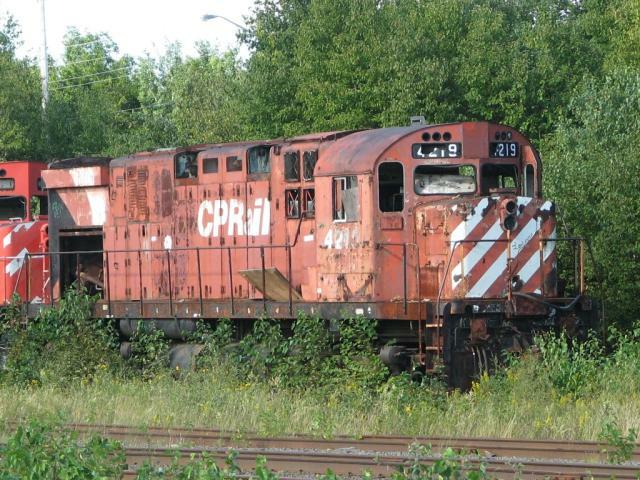 NBEC 4219 was an MLW C-424, still in CP Rail livery. It was used for parts. 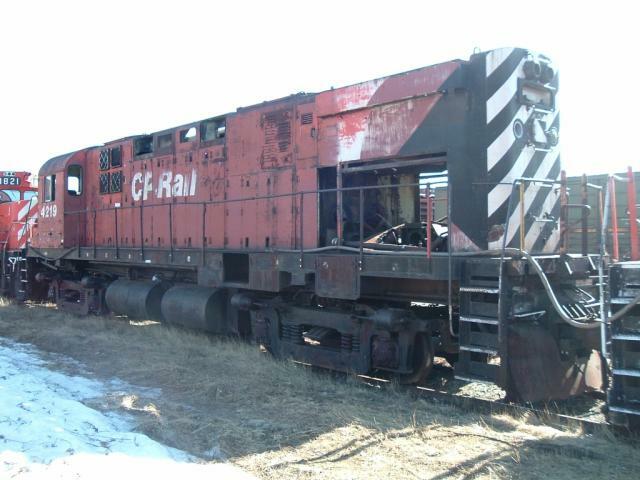 4219’s bell was given to Ottawa Central’s C-424m 4204, now SFEX 4204. 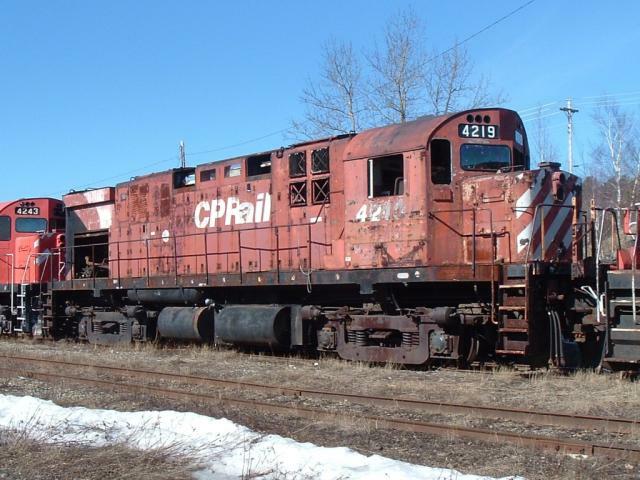 NBEC 4219 at rest in the Miramichi yard. 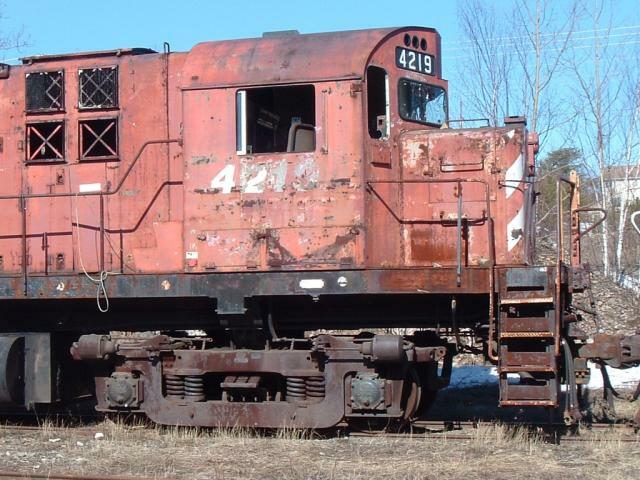 Another shot of 4219 in Miramichi.